Village of Montsec reached by the Americans on September 13, during the St. Mihiel attack. 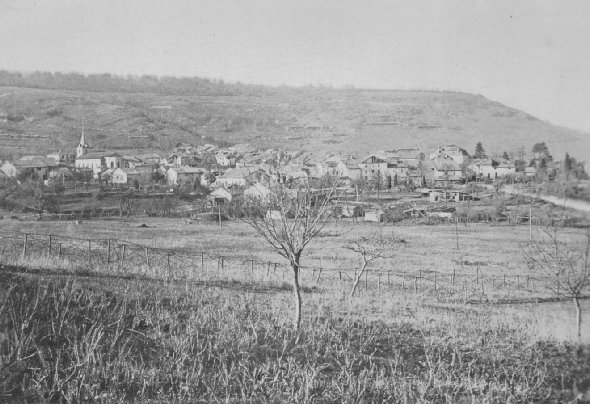 The slope of the hill above the village was honeycombed with dugouts built by the Germans. 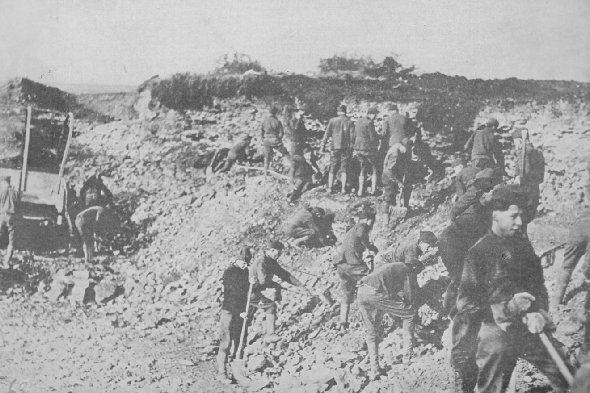 1st Engineers, 1st Division, quarrying rock for military roads destroyed by German shells. Keeping the roads in shape for traffic was all important.